Apple currently has open suits against Motorola Mobility, Samsung Electronics, and HTC in the ITC (International Trade Commission), a number of US District Courts, and various other buildings in which judges are known to sit in ornate leather chairs for long periods of time around the world. In doing so, Apple has made clear that its intention isn't just to hurt Android, but to slap it with so many injunctions and judgments that it'll be more radioactive than Bikini Atoll. But Apple's thermonuclear IP arsenal has proven, so far, to be about as effective as North Korea's real one. Head of Apple Office of Legal Counsel. Most recently, Apple won a single preliminary ruling against HTC from the ITC on a relatively small feature in HTC's phones that brought up an action prompt when a user tapped a phone number displayed in plain text. HTC quickly announced it had developed a workaround. Apple also lost on a number of other patent claims in that suit, but it is planning on appealing the decision. Of course, appeals are like cars on Oprah - everybody gets one, as long as you're willing to pay the associated fees, taxes, and surcharges. As a result, there seems to be a growing consensus that, since Apple has had a number of cases with claims dismissed or resulting in unfavorable rulings, the now-deceased Steve Jobs' iCrusade is winding down. After all, it was Jobs who came awfully close to breaking the the Soviet Union's record for inciting the most uses of the phrase "thermonuclear war" in major US media outlets over the course of a single week. Someone should really get in touch with Guinness about that one. But don't count on Tim Cook to make zombie-Steve Jobs eat his own words before the sweet, delicious brains of the living. There's clearly an existing strategy in place, and Cook is unlikely to upset the Apple cart (OK, I apologize for that one) Steve so carefully arranged before his demise. 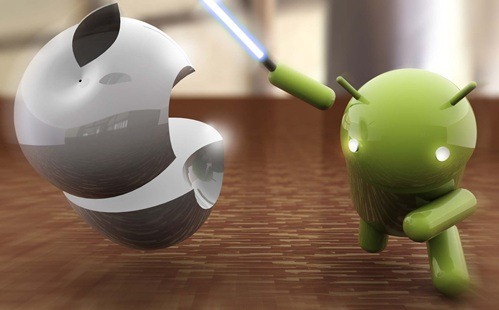 While in the long term an endless litigation cycle isn't tenable (fiscally or practically), there is little reason to think that Apple has any intention of withdrawing from its onslaught of filings for anything short of Android's head on a stick. In the world of big tech, litigation has wormed its way into the standard operating costs of most major companies. Lawyers don't come cheap, either - big firms such as those representing the likes of Google, Apple, and Oracle may charge up to $1000 per hour for each low-level associate working a particular case, and much more for the time of highly paid partners leading up to trial. 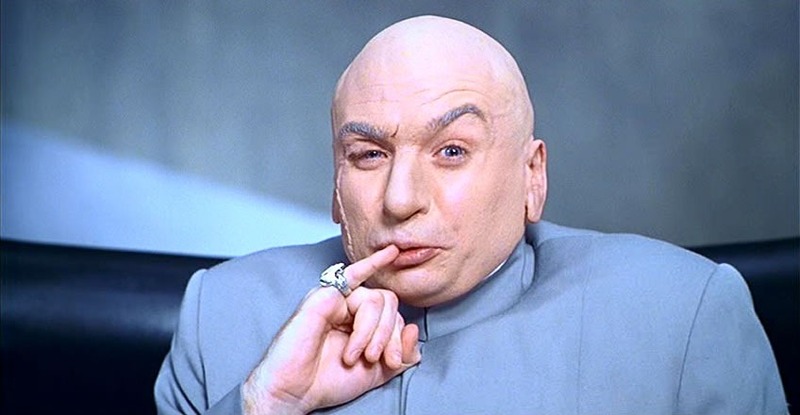 So, suddenly, that $100 million number may not seem all that unreasonable. Analysts and investors tend to view these "IP wars" from a balance sheet standpoint - legal costs today are royalties agreements tomorrow. I'm not so sure that's what's going on here, though. This is not an iPad-like tablet. In 1968. Nope. Based on Jobs' statements in his biography, he took Android's similarities to iOS very personally (I wouldn't have been surprised to hear a story about a flaming bag of dog feces on Eric Schmidt's porch). It seems a given that the lawsuits would have continued rolling out in a highly efficient Apple-Chinese-assembly-line manner, but for one small contingency: Jobs' untimely (and deeply saddening) death. Now that things have settled down in Cupertino, some of the Apple-faithful are willing to admit that, maybe, their messiah pursued his foes with a little too much zeal. With Tim Cook at the reins, there seems to be a taboo desire in parts of the more Apple-friendly media that the company let these legal entanglements pass into the 8-point font footnotes of its high-tech history, and just move on. This may be easier said than done. At this point, Apple is in a bit of a pickle - withdrawing from current litigation, even in exchange for dropping of countersuits by rival manufacturers, would mean a lot of wasted money and, frankly, make Apple look a bit wimpy. Settling on royalties agreements right now would be exceptionally difficult, as well. As I said, Apple has lost a number of claims against HTC, Samsung, and Motorola, but won none of any real, lasting significance. While it has obtained injunctions against Samsung and HTC, both companies quickly modified their products to circumvent the infringement claims Apple received those court orders for, resulting in either minimal or non-disruptions of supply. It goes without saying, but it's pretty hard to leverage your losses or half-victories in settlement negotiations. I've read a few pieces suggesting that Apple has the negotiating advantage presently, and I just think that's patently untrue. If anything, Android manufacturers are showing that they're willing to run circumvention circles around injunctions, file effective countersuits, and fight their legal battles all the way to a verdict. I wouldn't say anyone has a real upper hand here, but the media has a tendency to assume that because Apple started this legal war, they must have the better case. In reality, that's a bit like saying the side that shot first at Lexington had the advantage in the Revolutionary War. So, what's next? While predicting the outcome of complex IP litigation is like looking into a crystal ball while blindfolded, even for the experts, there's little reason to think that Apple, or its competitors, will be slowing their legal attacks any time soon. In fact, Apple is under almost as much of a bombardment from Motorola and Samsung as they've dished out themselves. That means Apple will probably be obligated to come up with even more claims against those companies to use as leverage and intimidation, a pretty standard legal strategy (particularly in cases involving patent infringement). In short, don't think that just because El Jobso has passed to the great beyond that his vendetta against Android died with him. This battle could rage on for years (as patent litigation often does), and I wouldn't expect it to end until someone (Apple or a major Android manufacturer) suffers a judgment with serious implications. That's when settlements tend to happen, and there has been no indication such a decision will come particularly soon. Will the media get bored of covering this legal slapfighting eventually? Of course. But remember this, the average patent lawsuit takes about 2 years (3 with an appeal) to fully litigate. That means Motorola's newest lawsuit against Apple, if it went to trial, wouldn't be resolved until 2014 at the earliest. So, put on your waders, kids - we're going to be knee deep in this stuff for a while longer.